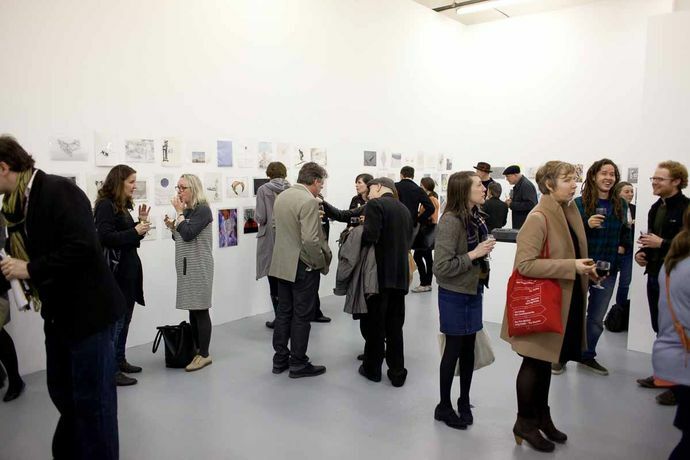 Those interested in bidding for artworks are welcome to join us at Drawing Room on the final evening of Drawing Biennial 2013. The evening will be opened by artist Michael Landy and writer Louisa Buck will be our Master of Ceremonies. This evening is during the final hours of our online auction and therefore we will have a team of staff who will input your bids to our Drawing Biennial 2013 auction website. The live bidding status of each work is made visible as a projection on the wall of the gallery. Please note that there are 3 timed Lots: Lot 1 (Artists A-E) ends at 19:30 Lot 2 (Artists F-M) ends at 20:00 Lot 3 (Artists N-Z) ends at 20:30 contact biennial@drawingroom.org.uk for more information.